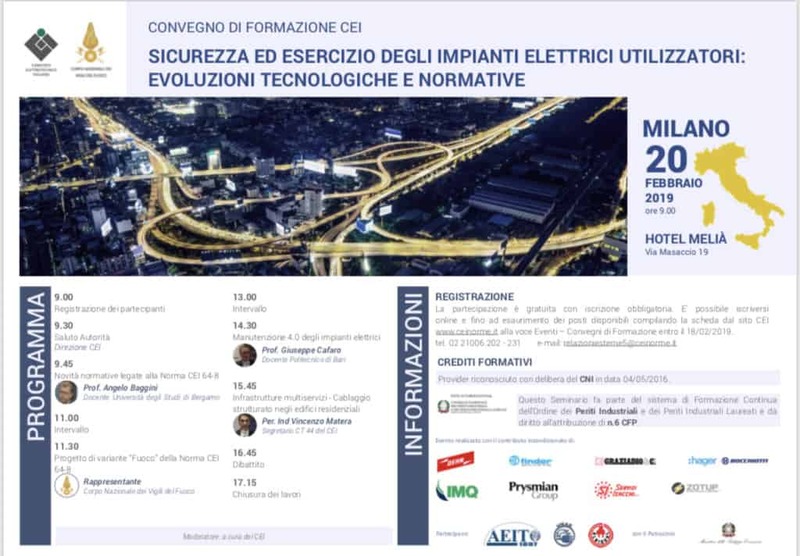 On 20 February in Milan at the Hotel Melià – via Masaccio 19 the CEI free training conferences are back. 2019. Graziadio is sponsor of the event. Recognized n. 3 CFP for Engineers, n. 6 CFP for the Order of Industrial Experts and Industrial Experts Graduates and entitles to the allocation of n. 6 CFP and n. 6 CFP for Architects.